Darbara Jan Moormann of Amarillo, Texas, died Thursday, January 11, 2018, in the BSA Hospital in Amarillo at the age of 67 years. Darbara Jan Moormann was born on August 29, 1950, in Amarillo, Texas, to Jake and Virginia (Mitchell) Graf. 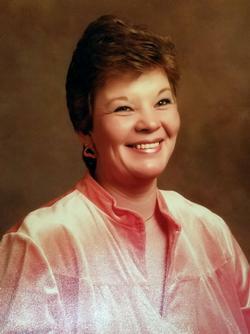 She grew up in Amarillo and attended Amarillo Public Schools graduating in 1967. Following her education she worked at various jobs in the area including working at several dry cleaners, working at D. and S. Pharmacy and ironed clothing for many families. She was a member of the Hillside Christian Church in Amarillo. She enjoyed fishing, traveling and spending time with family, friends and her two fury friends, Cougar and Sissy. She is survived by her husband, David Moormann of Amarillo, Texas; three brothers, Curtis Graf and wife Faye of Irving, Texas, Larry Graf and wife LaWanda of Amarillo, Texas, and Randy Graf and wife Monte of Amarillo, Texas; and several nieces and nephews. Services are scheduled for 2:00 p.m., Wednesday, January 17th in the Roberts and Son Funeral Home Chapel in Blackwell with Rev. Lanny Jobe of the Blackwell Church of Christ officiating. Burial will follow in the Blackwell Cemetery. Casketbearers will be Curtis Graf, Larry Graf, Randy Graf and Scott Barrows.